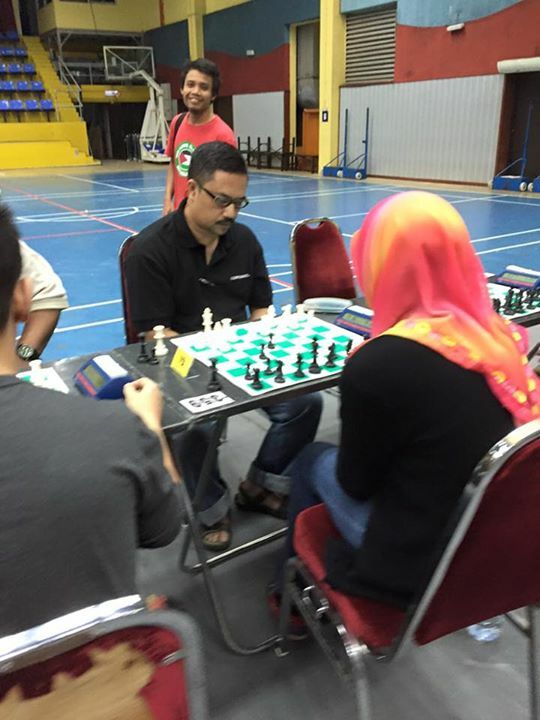 KARISMA 2015 Chess Championship had ended today. 40 male and 41 female players from 11 UiTM Campuses all over Malaysia took part in the championship. 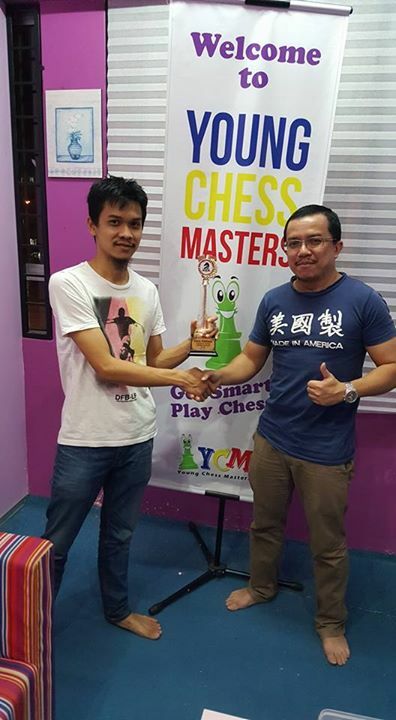 Fikri, GiLoCatur's eldest child, represents UiTM Johor for the second time in the championship. UiTM Johor accumulated 19.5 points from its four players - Daniel, Fikri, Hafiz and Ibnu Fahmi. 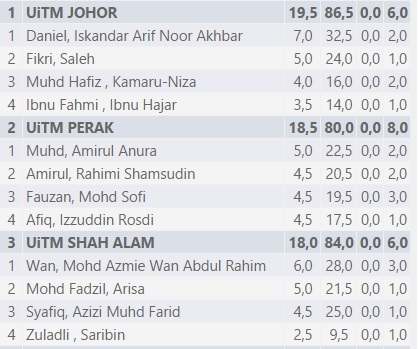 Trailing one point is UiTM Perak. 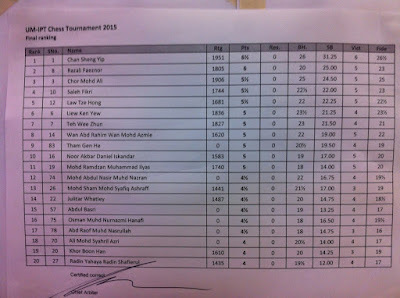 UiTM Shah Alam is placed third with 18 points. So, below are the medal winners. 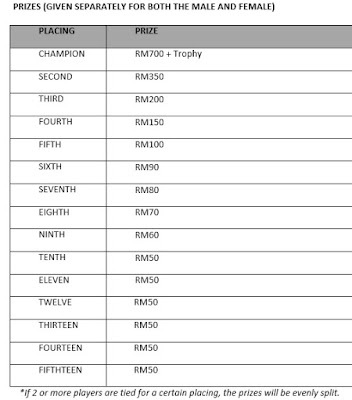 The above shows the Top 10 Final Ranking for Individual event in the Men section. 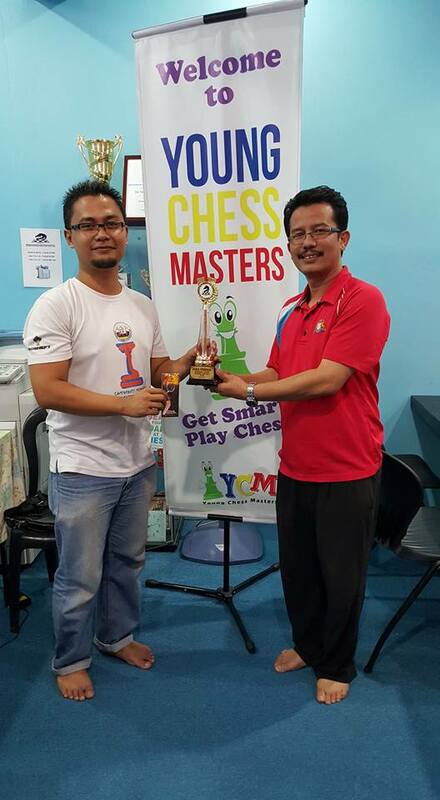 Daniel Iskandar of UiTM Johor emerged as the champion having won 6 and drew 2 games making his score 7/8 points. 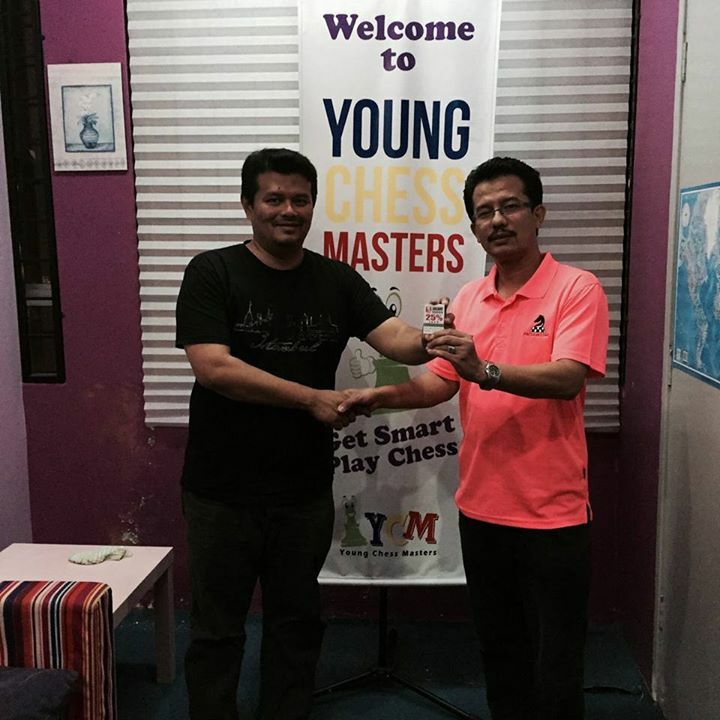 While Wan Mohd Azmie of UiTM Shah Alam who won 4 and drew 4 games is the first Runner Up. He accumulated 6/8 points. 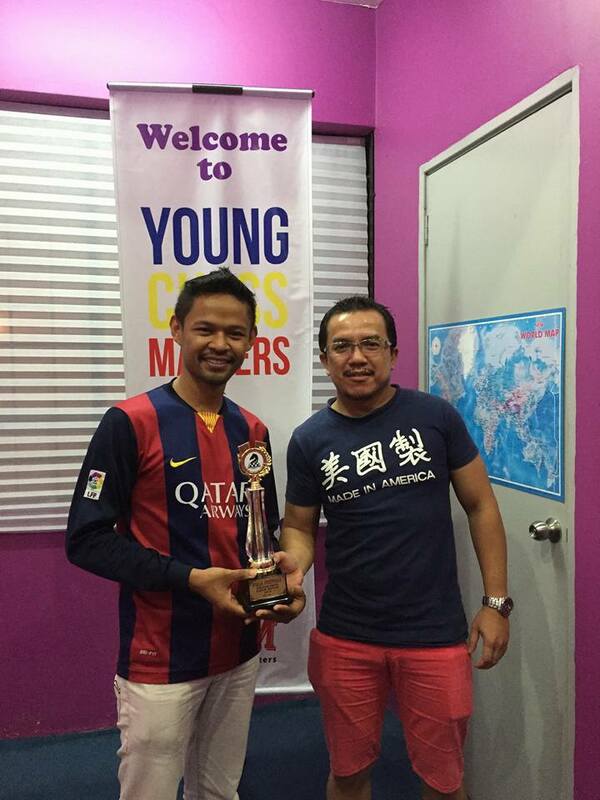 Two other players - Muhd Syafiq and Hassan Al Basri, also scored 6/8 points. Both were the Bronze medalist. Losing his final round, Fikri of UiTM Johor accumulated 5/8 points. The defeat has caused him to be placed 7th. Surely, it is very disappointing to not only Fikri but also to GiLoCatur and family. 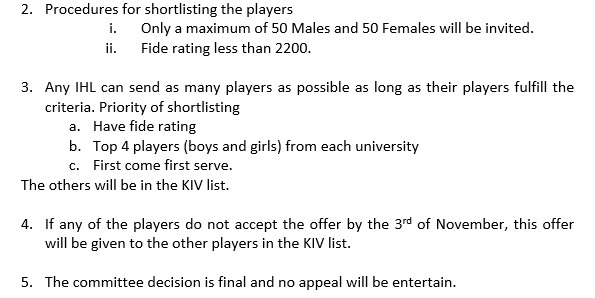 For full final ranking, please view here. 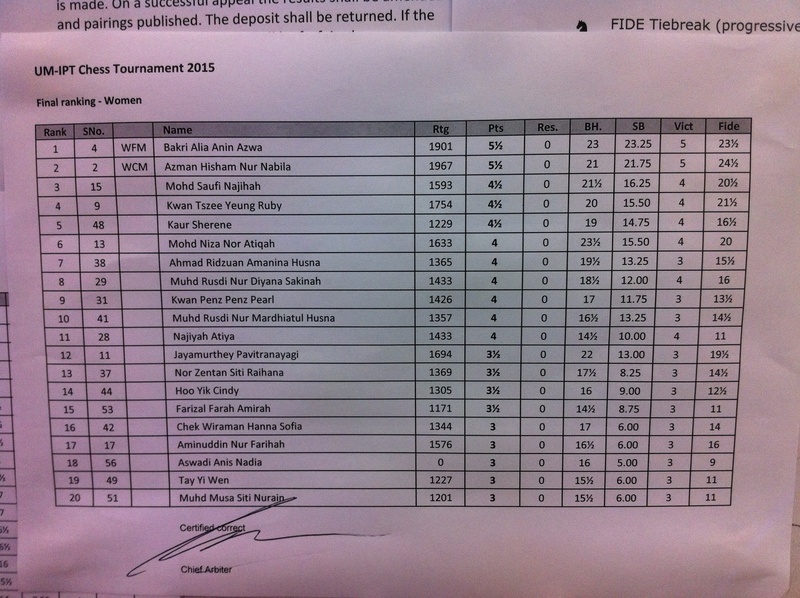 The above shows the Top 10 Final Ranking for Individual event in the Women section. Nur Nabila of UiTM Puncak Alam won 6 games and drew the other 2 making his score 7/8 points. She became the champion and Gold medal winner. 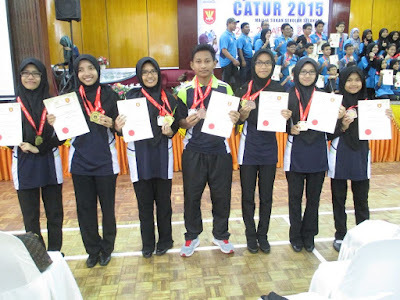 While Nuraini Syamimi of UiTM Johor was declared the first Runner Up having won 6, lost 1 and drew 1 games. She accumulated 6.5/8 points. 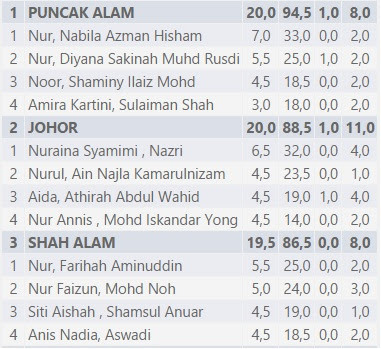 Although Najihah of UiTM Perak also has the same point as Nuraini, since the former has lower tie-break, she is the second Runner Up. 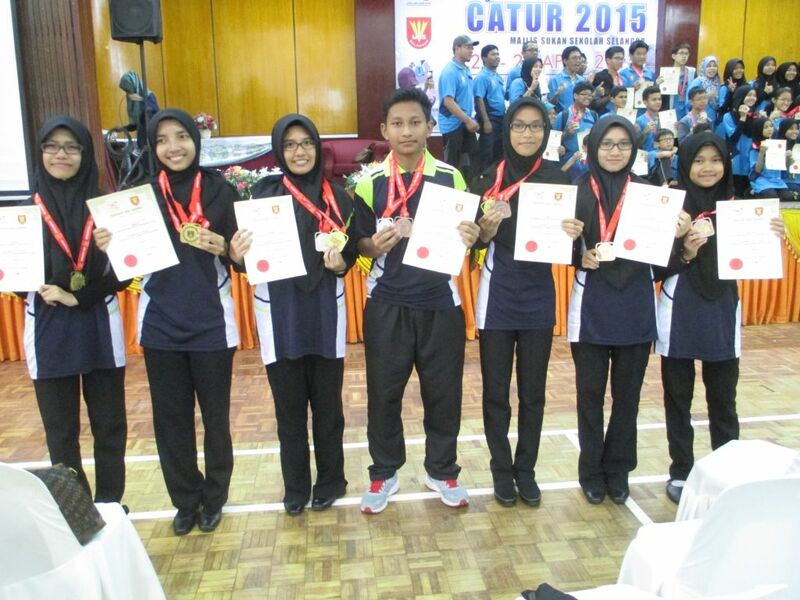 Placed fourth with 6/8 points from 6 wins and 2 defeats, the sole player from UiTM Negeri Sembilan shares the Bronze medal with Najihah. UiTM Johor Chess Team has won 2 Gold and 2 Silver medals. Both Gold medals won in the Men's Category one each in Individual and Team events. While its Women team has won both Silver medals. It is the best feat ever by UiTM Johor chess team thus far to GiLoCatur's knowledge. 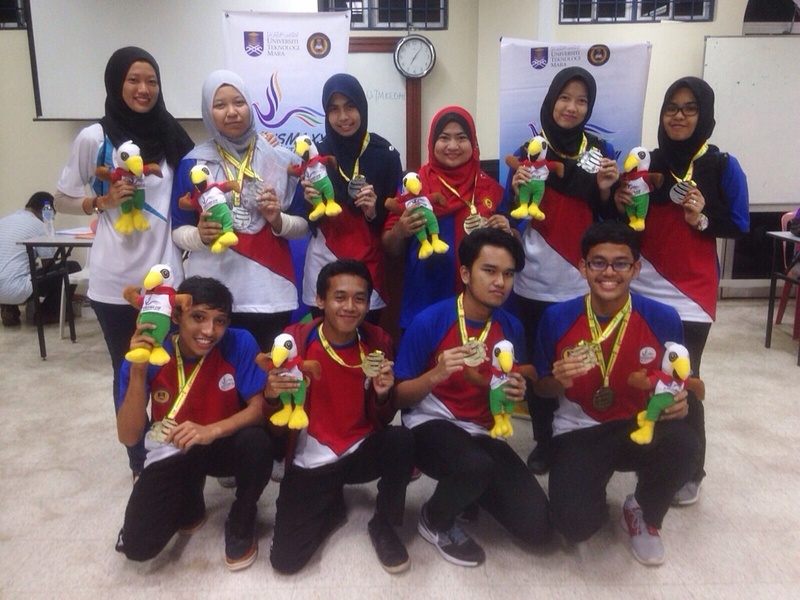 Congratulations to UiTM Johor Chess Team! Keep it up! 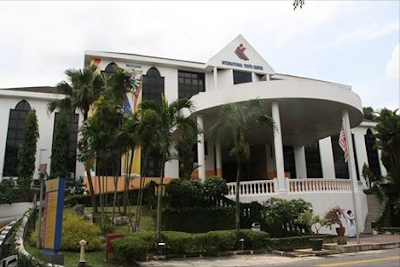 For the 22nd Edition of KARISMA 2015 hosted by UiTM Kedah, GiLoCatur would only follow from home. 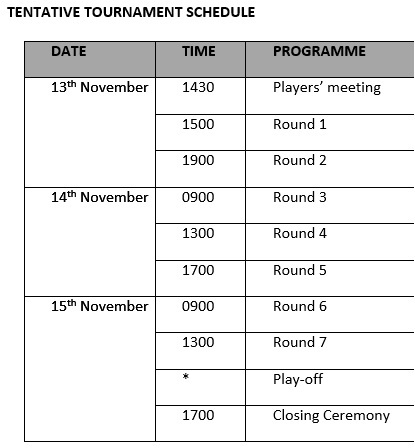 The chess games are scheduled from Monday, 26th until Thursday, 29th October 2015. Fikri, GiLoCatur's eldest child will represent his university for the second time. 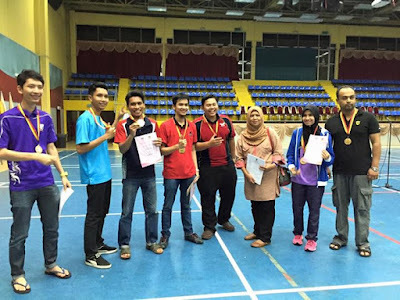 ALL THE BEST to Fikri and his team mates from GiLoCatur and family. 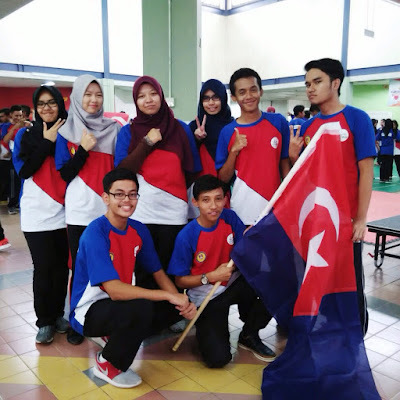 Click here to read the entry on Fikri and KARISMA 2014. 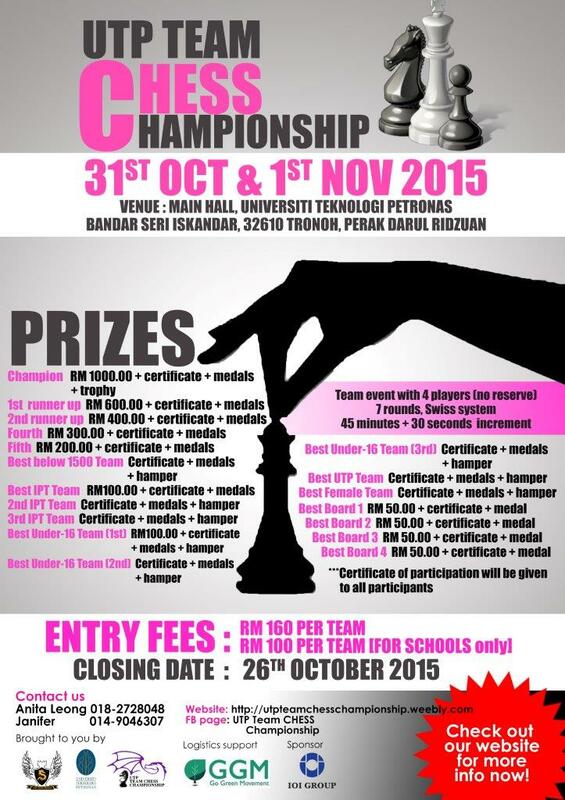 KARISMA chess championship kicks of this morning. 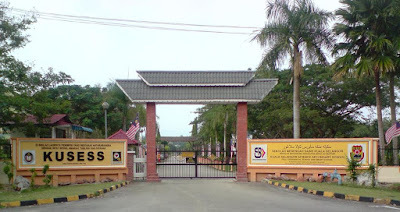 For info, KARISMA stands for Karnival Sukan Mahasiswa UiTM in Malay language. 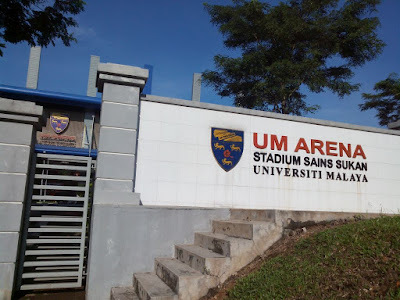 In English it means the Inter-UiTM Sports Carnival. 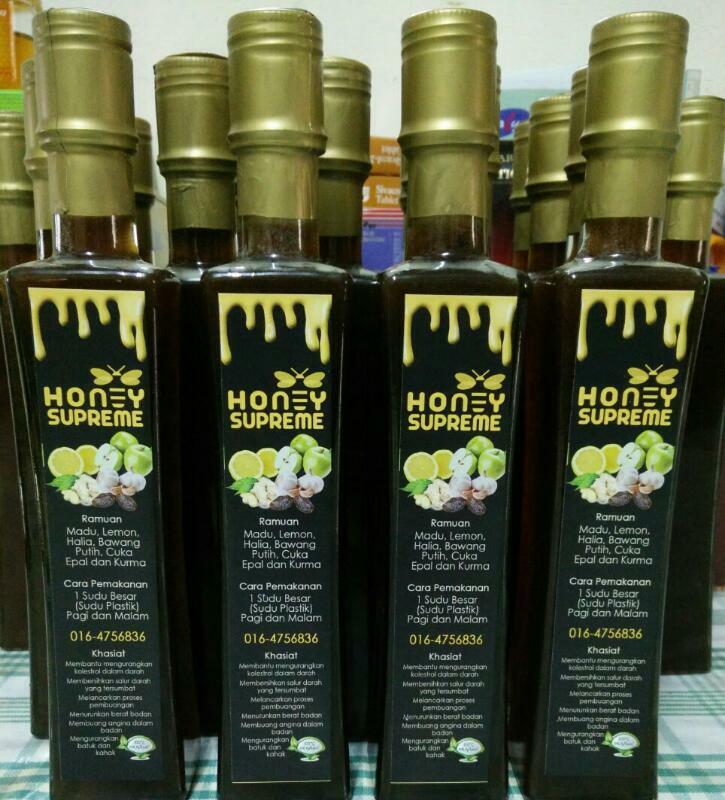 This year edition is held at UiTM Kedah from 25th until 31st October 2015. Chess is one of the sports event in the carnival. This year will be the second time participation for GiLoCatur's eldest child, Fikri. 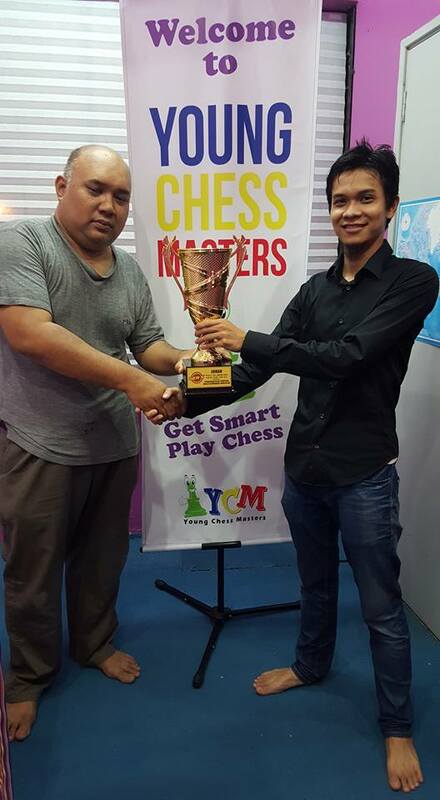 He is one of the UiTM chess team. 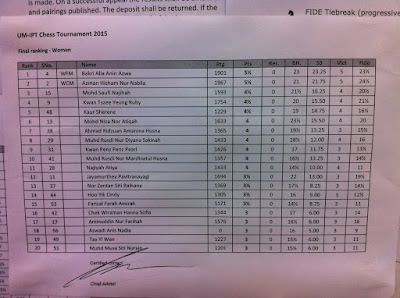 Based on the starting rank for the Men event, Fikri is the top seed. 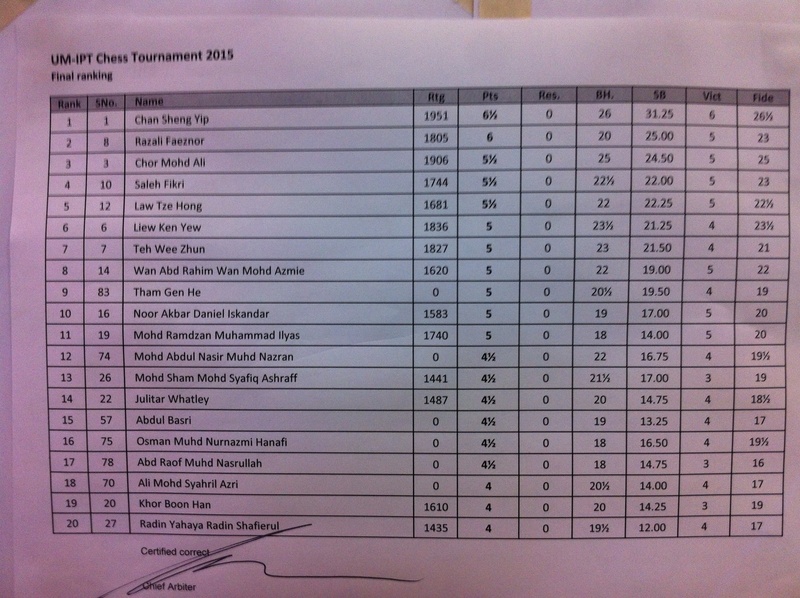 In last year edition, Fikri was the third seed. 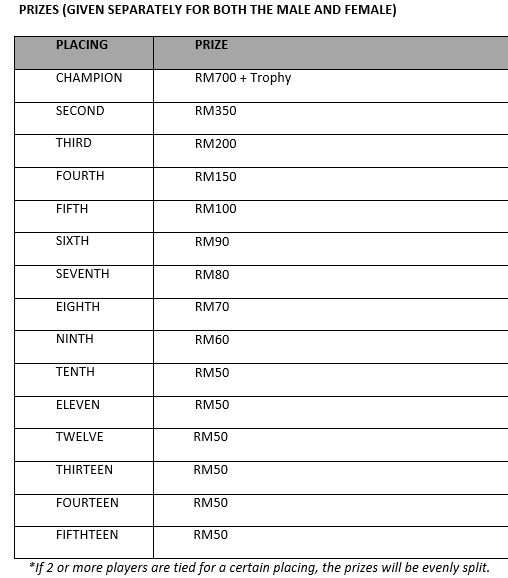 GiLoCatur notices that the Top 3 Winners namely - Hazzafri, Ali Chor and Abdul Rahman, of last year edition for the Men event are not in the list this year. 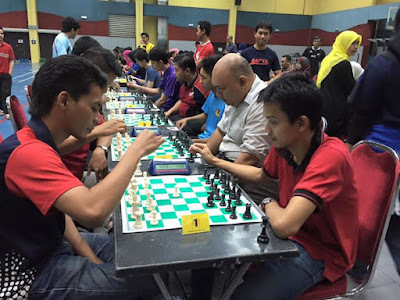 All these three chess players are among the UiTM 2015 chess team which had emerged as the champion at MASUM this year. 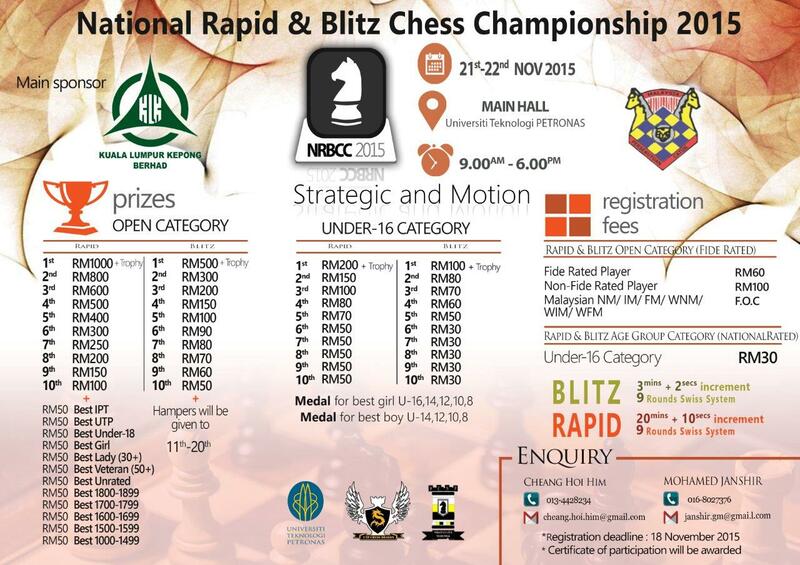 The Chess game is scheduled from 26/10/2015 until 29/10/2015. GiLoCatur is not sure how many rounds it will be this year. 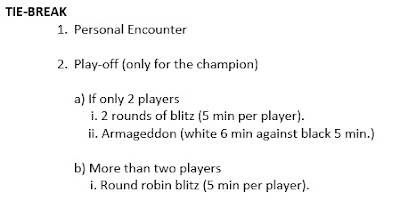 Last year, the players had to play eight (8) rounds. Let's check the results of the first round which had just finished a couple of hours ago. 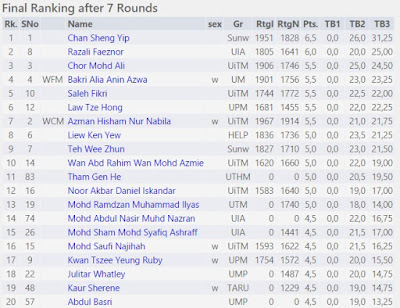 Based on the above Top 10 Boards Round 1 results from chess-results.com, the top two seeded-players drew with their respective opponents. 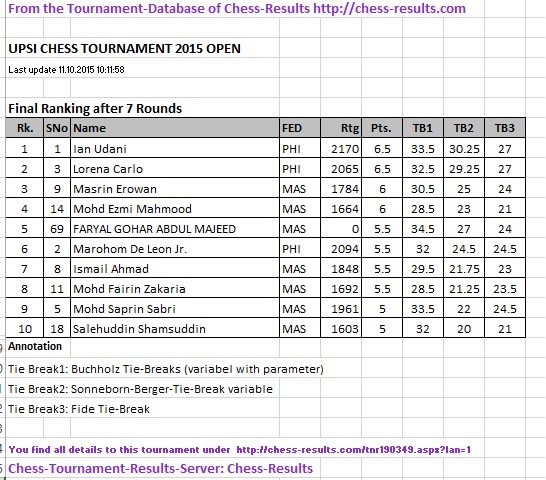 Another interesting result is the 9th board. 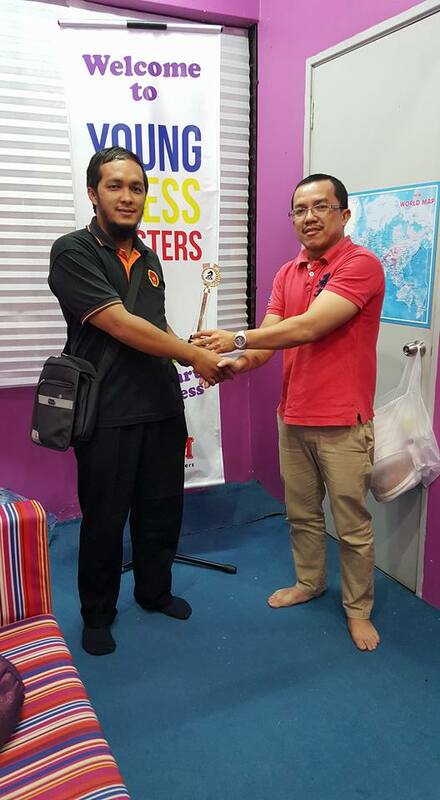 The 9th seeded player from UiTM Melaka was defeated by his opponent from UiTM Puncak Alam. 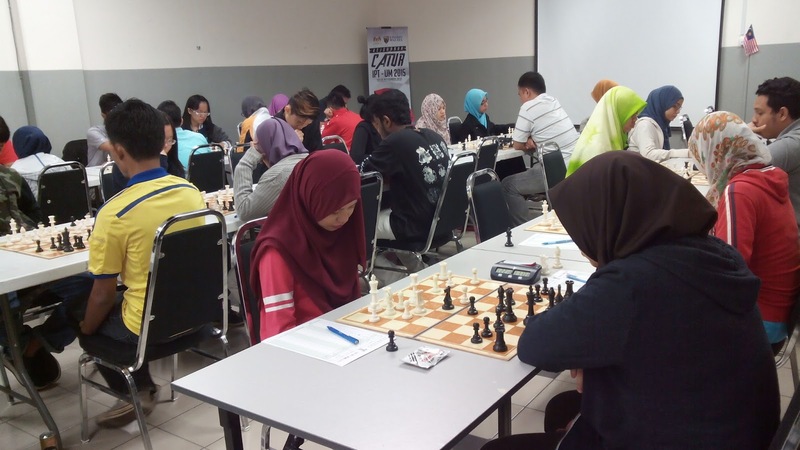 On the 7th board, the unrated player from UiTM Johor managed to hold draw against her rated opponent from UiTM Puncak Alam. 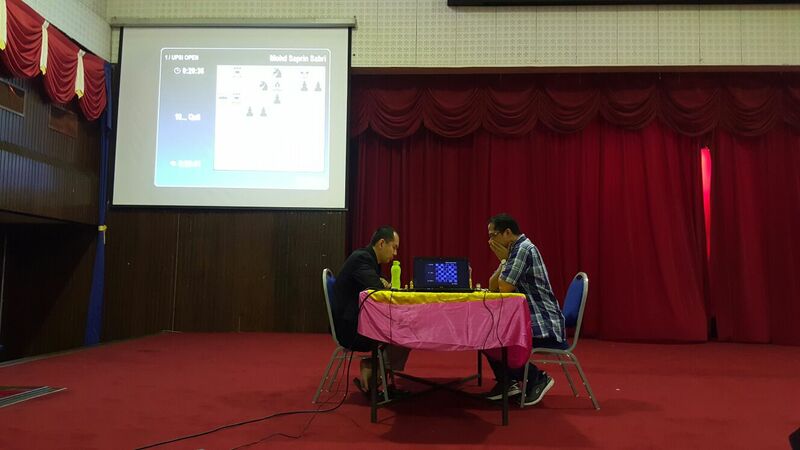 Meanwhile, on the 10th board, an unrated player from UiTM Perak managed to win over the 10th seeded-player. The first round had just started. 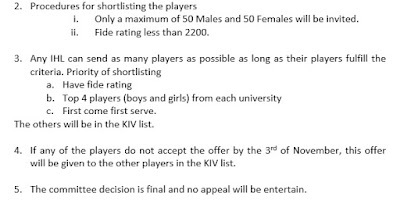 Will there be more and more "interesting" results in the 2015 KARISMA chess championship? Please come again for more update and short analysis on the championship. Good Luck and All the Best to all the chess players in the KARISMA 2015 especially to Fikri and his UiTM Johor team mates or fondly called "Abang" by family. 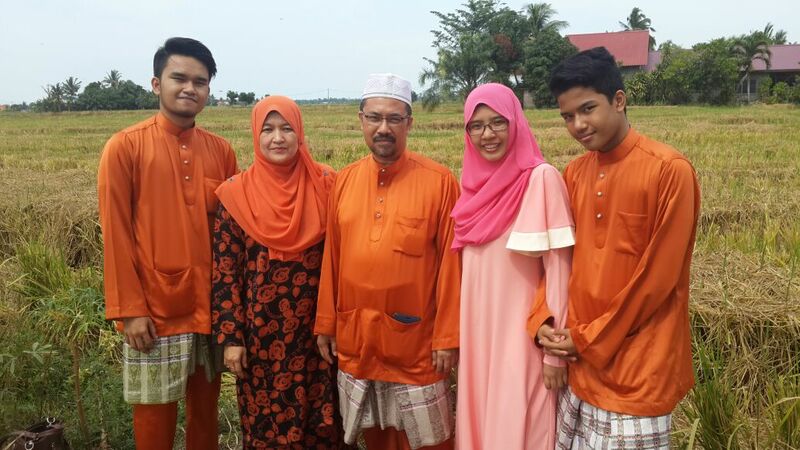 Ayah, Ibu, Kakak and Adik will always pray for your success and achievement. 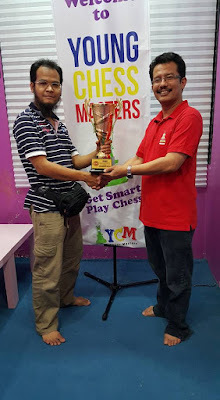 GiLoCatur could not resist to take part in the MUICC's Thunder Blitz Open Chess Tournament held on last Thursday night at Shah Alam UiTM. Eventhough all the three GiLoCatur's children are not at home, GiLoCatur went to UiTM Shah Alam accompanied by wife to participate in the blitz tournament. Seventy four (74) participants took part. GiLoCatur was seeded 20th. 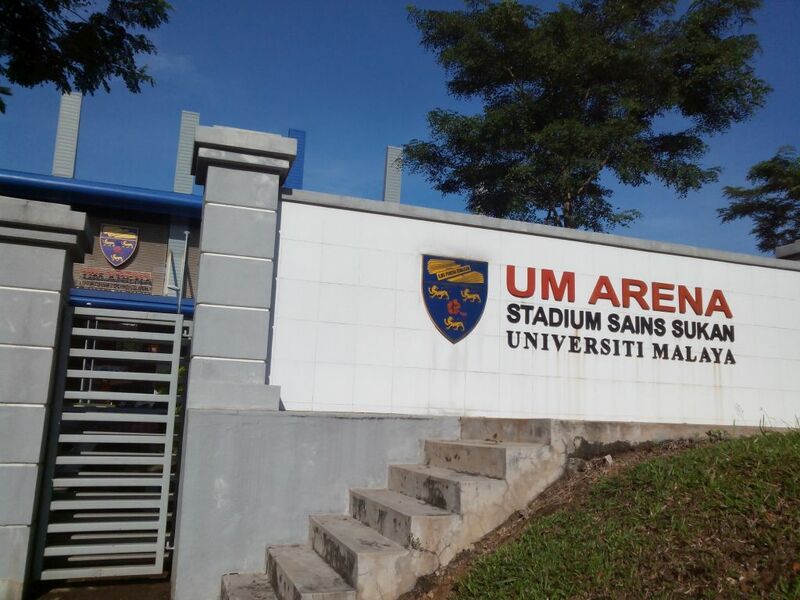 The tournament was held at the UiTM Sports Center. All the participants had to play nine (9) rounds of 5-minute-per-player. So, how many wins that GiLoCatur had? GiLoCatur managed to win 5 games and lost the other 4. 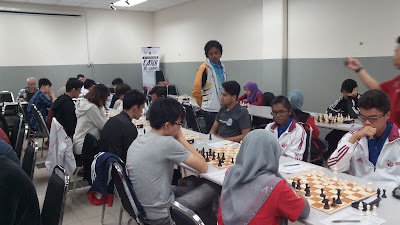 But GiLoCatur enjoyed playing in the tournament especially playing against young opponents who are mostly UiTM students. 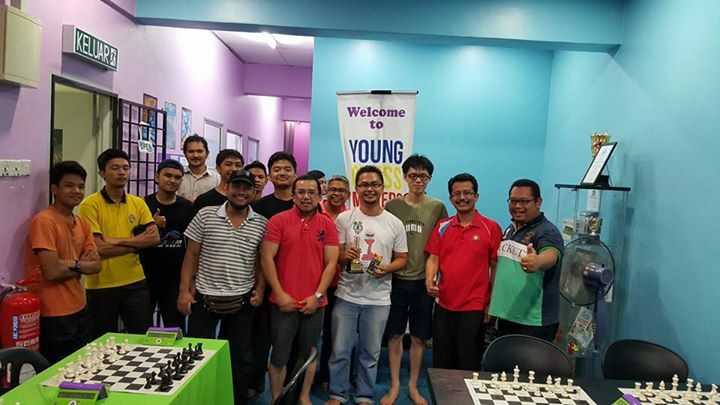 Bravo and kudos to the Malaysian UiTM Chess Club (MUICC) for organizing the chess tournament. 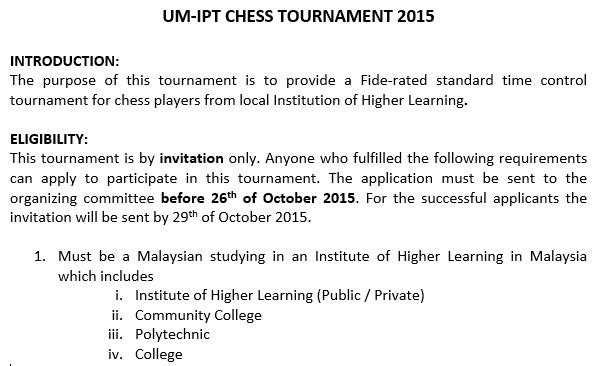 GiLoCatur is very glad and happy that more and more chess tournaments are held in the Malaysian universities. Hopefully, this trend will continue and more and more University students are active in chess and participate in chess tournaments. 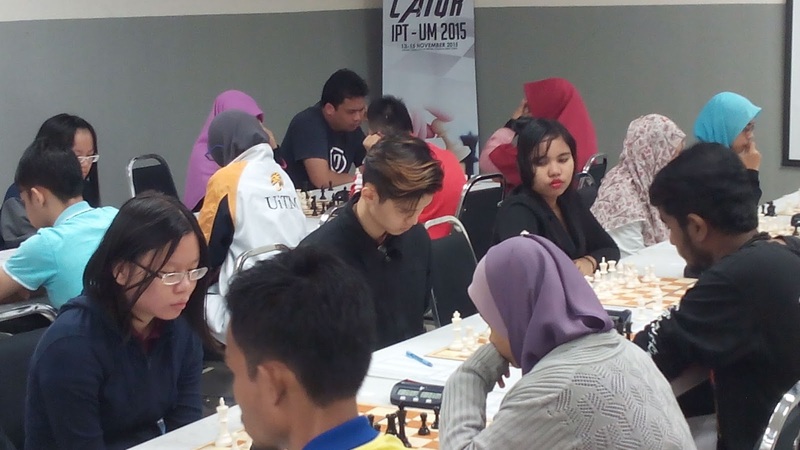 No doubt the UPSI Chess Open is one of GiLoCatur's favourite local chess tournaments. Its ninth edition has just been concluded yesterday. GiLoCatur family have participated in four of them, namely - 2nd, 3rd, 5th and 8th editions. 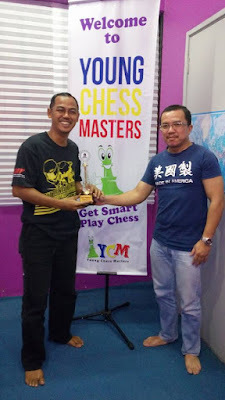 GiLoCatur has also blogged about this tournament many times especially those editions where GiLoCatur and the children attended. 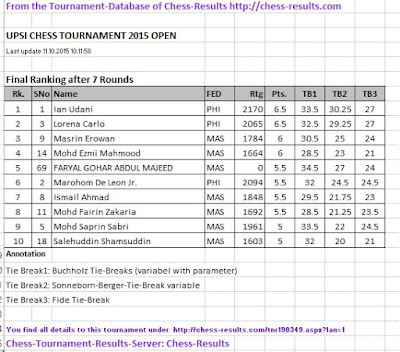 You can use "Search This Blog" feature to view all the entries on UPSI Chess Open. This year, GiLoCatur and the kids gave a miss to the tournament. GiLoCatur's eldest child, Fikri, is having his final exam in Segamat. GiLoCatur's only daughter and second child, Anis Fariha, is making final preparation for her SPM examination which is less than three weeks from now. The youngest child, Fahim Al-Faqeh, does not come home this weekend. Luckily with the modern and advanced technology of today, GiLoCatur could follow and have updates on the UPSI chess tournament. 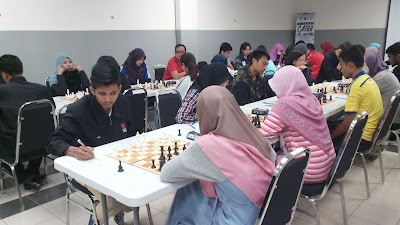 GiLoCatur would be very very happy if the modern and advanced IT technology of today being used to keep the information, updates, photos and history of the local chess tournament including the UPSI Chess Open. 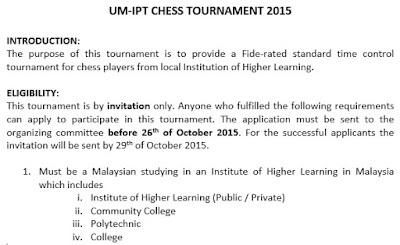 This what is lacking in the Malaysian chess community. The Malaysian chess blogging is declining lately. GiLoCatur's Blog has not been updated regularly as used to be. 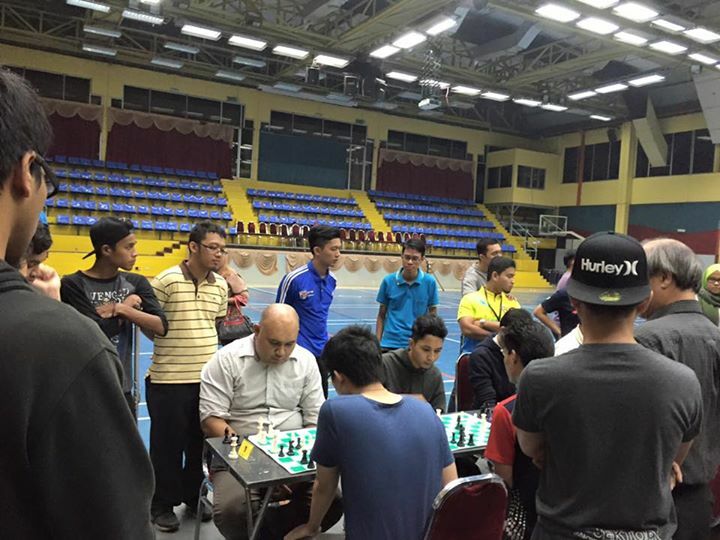 GiLoCatur believes there are more and more local chess tournaments compared to several past years. Thus, lots of input for chess blogging. Sadly, the famous Gilachess is resigning from chess blogging. 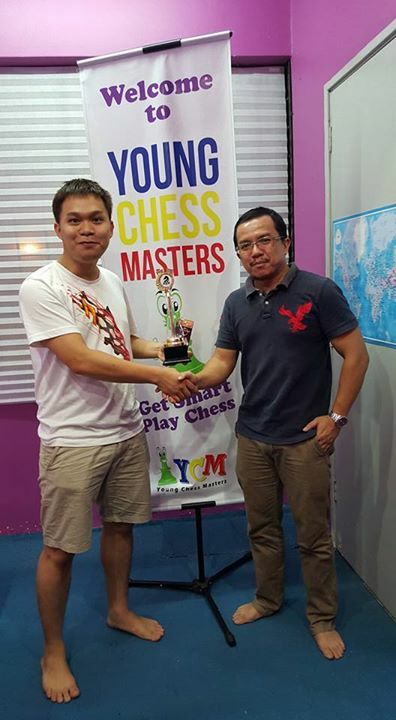 Malaysia is still far behind in chess compared to its ASEAN neighbours. 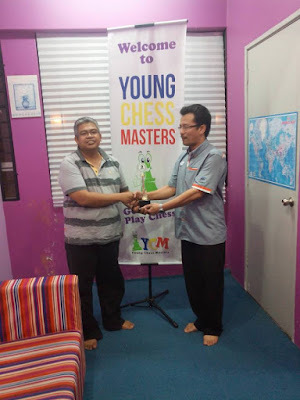 Malaysia still does not have its GM or GrandMaster. Enough with that, GiLoCatur would like to present below the list of Top 3 winners of the UPSI Chess Open. 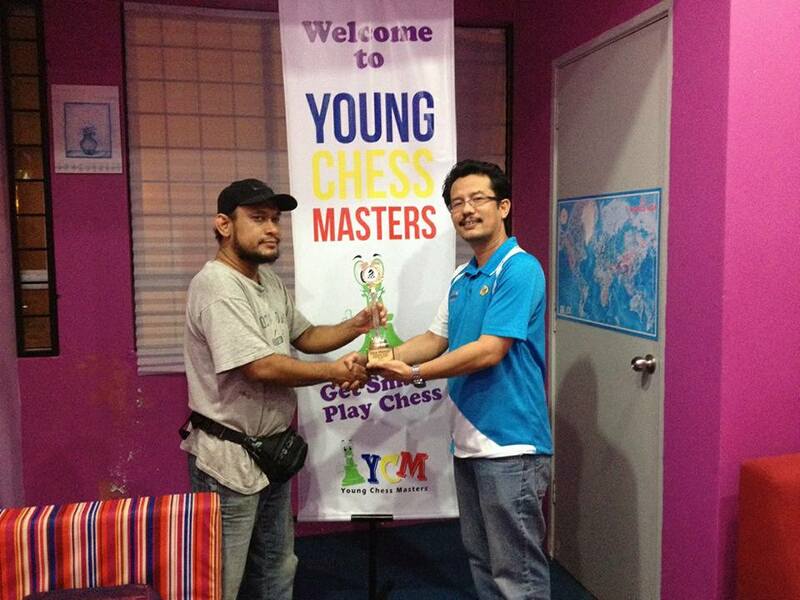 Note: GiLoCatur does not have the winners for the first edition held in year 2007. The youngest player to win the championship? GiLoCatur would like to give some idea for the 10th Edition of UPSI Chess Open. 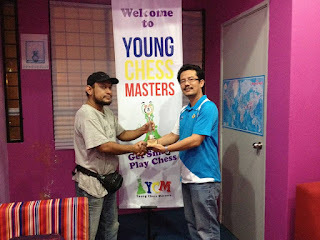 Make a newsletter of about 5 to 6 pages which have history, information of the winners, photos, and special games of the UPSI Chess Open. 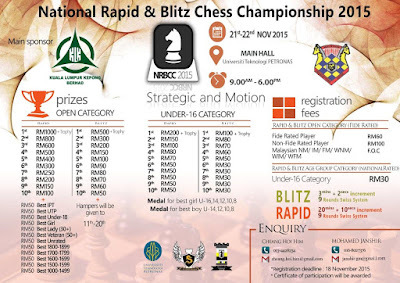 Share it with the Malaysian chess community. How about that? 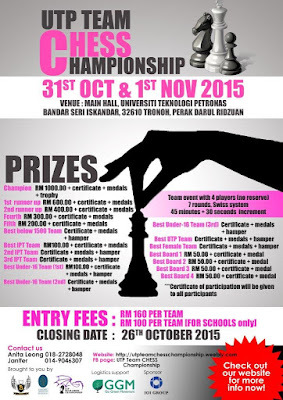 Bravo and kudos to UPSI Chess Club for organizing the UPSI Chess Open for the past nine years. KEEP IT UP! Ian Udani has emerged as the champion of the UPSI Chess Open which is just concluded yesterday. 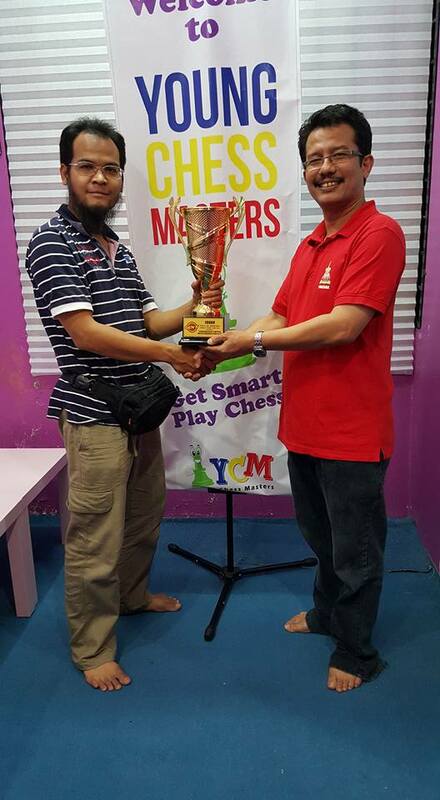 The win is his fourth for the UPSI Chess Championship. Ian who is ranked 45th in the latest FIDE ratings for his country scores 6.5/7 points the same as his compatriot, Lorena Carlo. Having lower tie-break, Lorena is placed second. 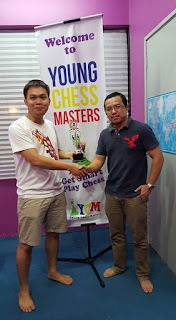 The second Runner Up went to local player, Masrin Erowan, who hails from Sabah. He accumulates 6/7 points from 6 wins. 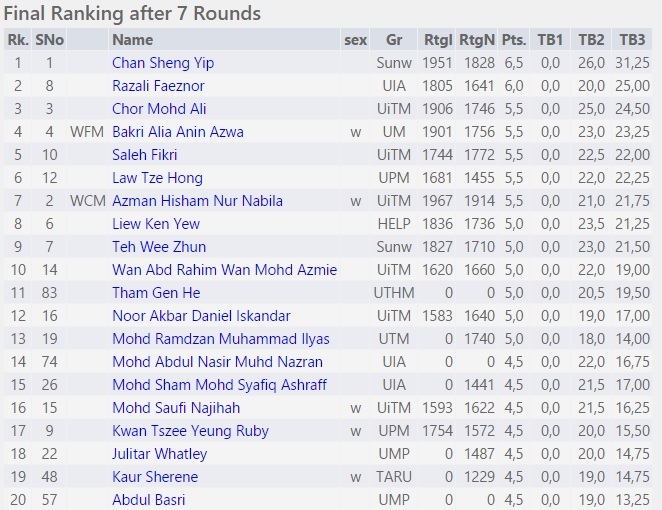 Below is the Top 10 of the Final Ranking for UPSI Chess Open in the Open category. 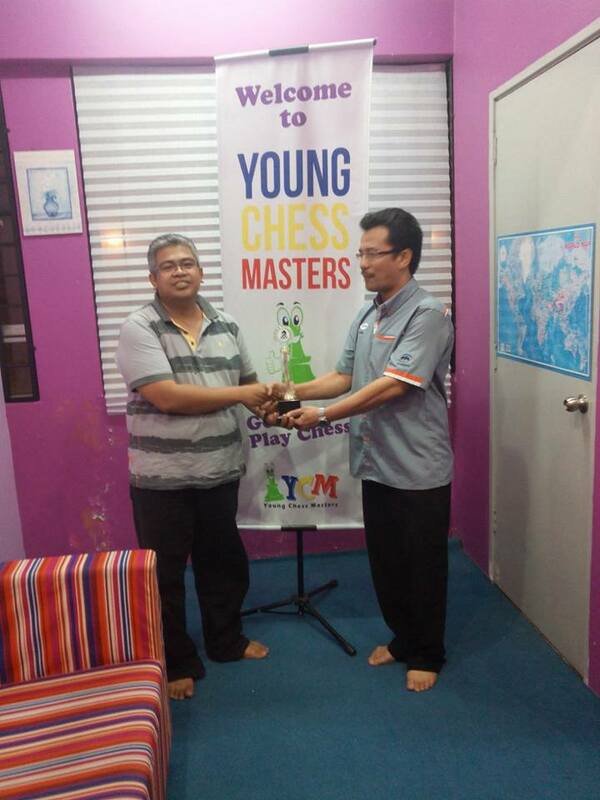 Congratulations to all the winners in the UPSI Chess Open including the gangs of 17CC.